At Cappasity we are constantly developing our software to bring you the best experience of 3D technologies. One of the fields that always can be improved is quality of textures. We are working on algorithms that would allow our software to grab textures from DSLR cameras and seamlessly apply them to the volumental data we get from depth cameras. This functionality will be available in our Cappasity™ Easy 3D Scan® product. 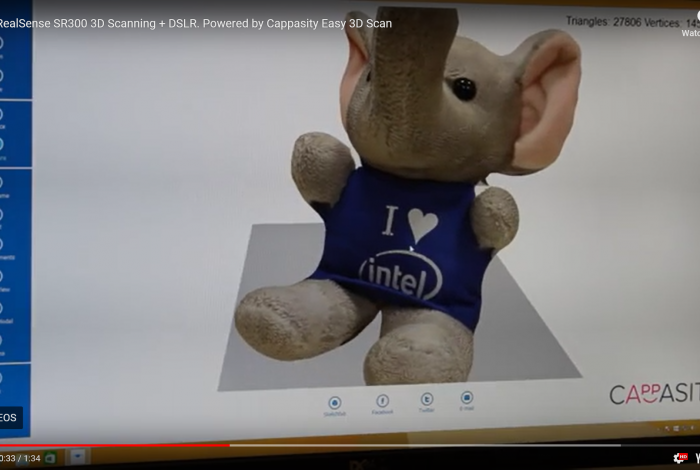 Watch the test run we did with SR300 Intel® RealSense™ camera in combination with an additional Canon DSLR camera.